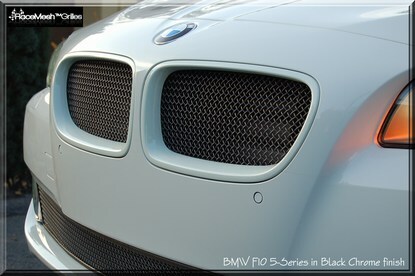 Start to set your F10 apart with a set of Racemesh Kidney Grilles. 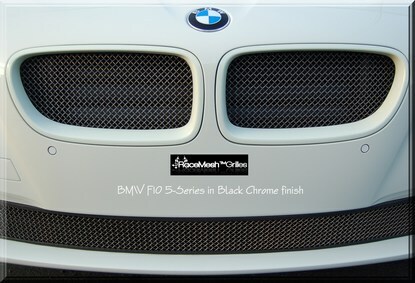 Get rid of those outdated looking chrome grilles on your F10 BMW. 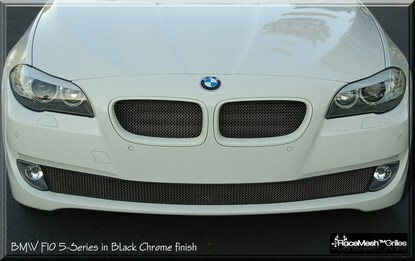 Racemesh has finally released grilles for the BMW F10. Racemesh went a little further with these grilles however, and decided to paint match the grille surround, so each grille is custom to your own F10. This will give it that truly on of kind look. Race mesh also offers 5 different mesh colors: stainless steel, electro polished, black wrinkle, silver leopard, and black chrome. 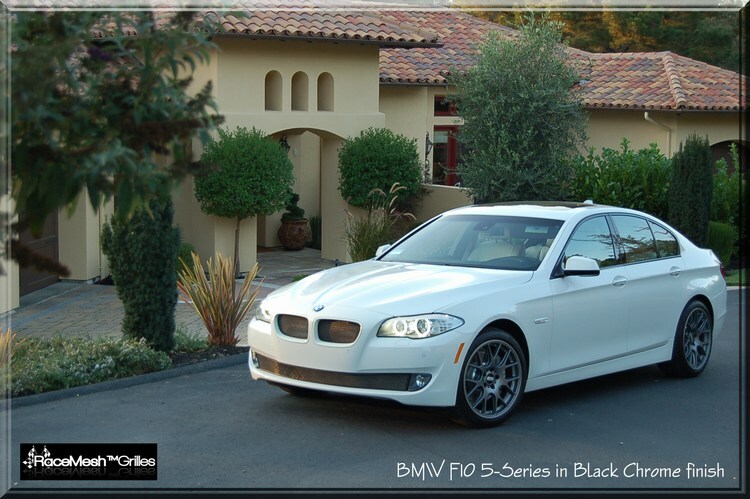 These F10 Racemesh grilles are a perfect fit and are a direct replacement of your stock kidney grilles. 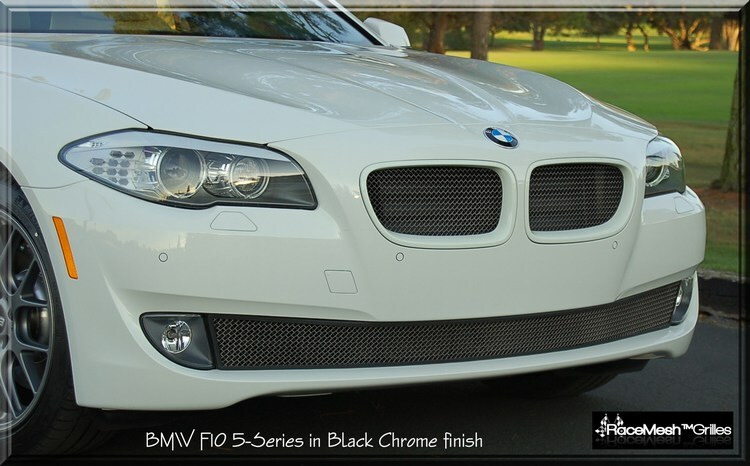 So start to set your F10 apart with a set of Racemesh Kidney Grilles. ***NOTE: Kidney surrounds are only available in body matched paint, NOT chrome. Please specify VIN and or Body Color Paint Code when ordering. 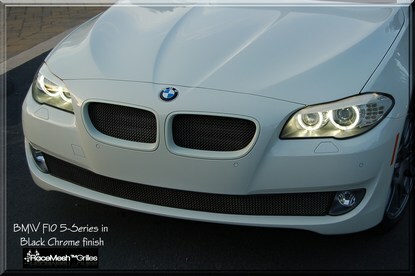 Note: RaceMesh grilles are custom made to fit your car perfectly, so there is a 4-5 week lead time. Once the order has been placed, the order may not be cancelled.